Weddings can get complicated but wedding invitations don’t have to be! 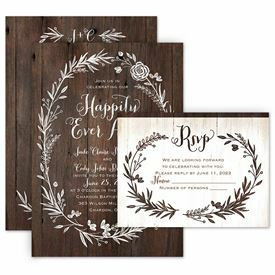 You like to keep things sweet, simple and inexpensive, which is why wedding invitation sets are absolutely perfect for the two of you. Get everything you need for one low price without sacrificing style or quality. Better yet? We have a few different types of invitation sets for you to choose from, each providing its own unique set of benefits. Let’s take a look! Seal and Send™Wedding Invitations are designed as a self-mailer, which means you don’t need envelopes with these beauties. 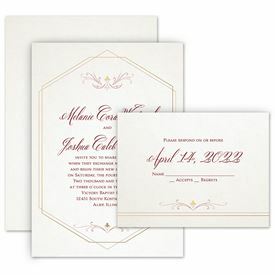 The seal and send includes invitation wording, reception wording and a detachable response postcard. You’re going to love how beautiful AND unique these invites are. The all-in-one design is affordable, easy to assemble and stylish for a surprisingly low price! 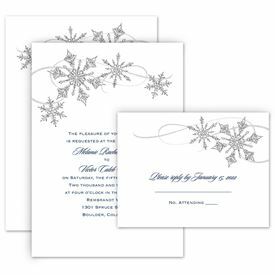 Separate and Send Wedding Invitations feature three separate pieces of stationery: the wedding invitations, the reception cards and the response cards. The price for these sets is very affordable because all three pieces are printed on one sheet of paper and you separate them via a lightly perforated edge. You’re going to love getting every piece that comes in a traditional wedding invitation suite for one low price. Plus, all three are designed to match perfectly! 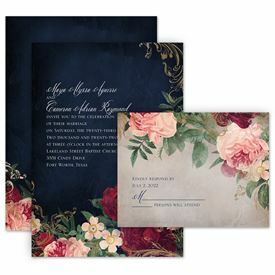 Wedding Invitations with Free Response Postcards are another inexpensive option you’re going to enjoy. 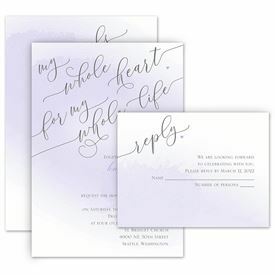 Every invitation in this collection comes with a free response postcard with matching design. You’re going to love not paying extra for the response card. 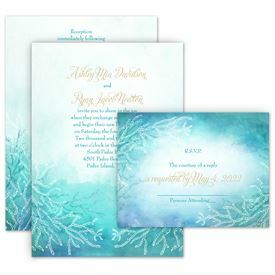 Most wedding invitation retailers charge more for every piece of stationery beyond the invitation and many couple don’t realize that a wedding invitation suite is usually at least two pieces—the invitation and response card. Not to mention you pay less in postage when using response postcards.